Weekend tickets include camping from Thursday. This ticket allows standard access for adults aged 18 or over on Friday only, 26th July. This ticket allows standard access for adults aged 18 or over on Saturday only, 27th July. This ticket allows standard access for adults aged 18 or over on Sunday only, 28th July. This ticket allows VIP access for adults aged 18 or over on Friday only, 26th July. This ticket allows VIP access for adults aged 18 or over on Saturday only, 27th July. This ticket allows VIP access for adults aged 18 or over on Sunday only, 28th July. 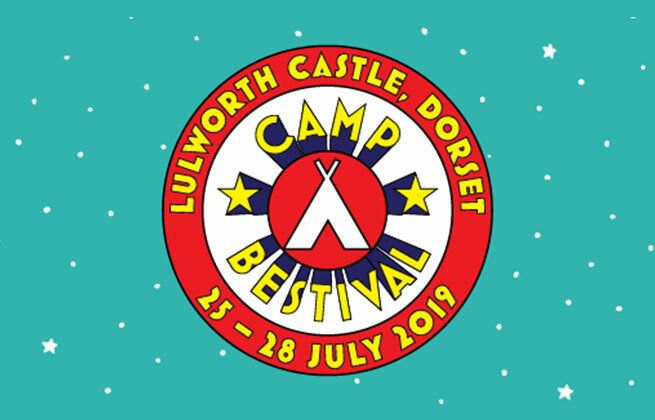 Camp Bestival is the UK's perfect family festival, each summer lining up a weekend of music, fun and games for all ages inside the beautiful grounds of Dorset's Lulworth Castle, including sets from the likes of Clean Bandit, Mark Ronson and Madness in recent years. Since its inception over ten years ago (way back in 2008), Camp Bestival has gone on to win the Best Family Festival at the UK Festival Awards in no fewer than a remarkable five years. This incredible achievement is thanks to the huge, diverse programme it lays on each year, including music, comedy, theatre, spoken word, arts and crafts, science shows and circus workshops. There is also a whole area dedicated entirely to 13-17 year olds called The Den, which showcases music, as well as all kinds of activities that'll keep the teens entertained for days, or head over to the Kids Gardens if you're with young children to be greeted by a vintage fairground, face painting and the insect circus. The theme for 2019's festival will be Heroes Vs. Superheroes, and according to founder Rob Da Bank, it's time for "the brave and the perilous, courageous and noble, those with superhuman powers or those simply performing an everyday heroic deed" to step up. 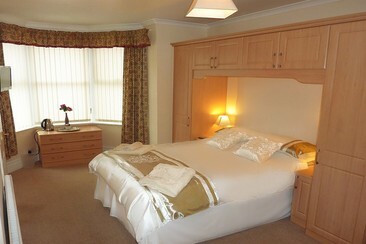 Located within a 5-minute walk of Weymouth Bay, The Stanley Guest House is within a 15-minute stroll of Weymouth Beach. Jubilee Clock Tower of Weymouth and Weymouth Marina are also a short walk from this Weymouth B&B. It is also just ten-minutes away from restaurants like the Dorset Burger Company and the Handmade Pie & Ale House. The 4 rooms hotel offer a low-key style with neutral colours and floral accents. 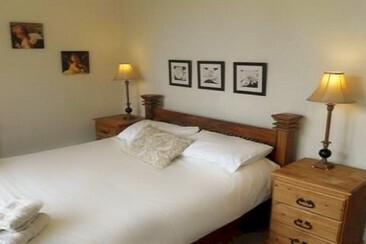 They come with en suite bathrooms, flat-screen TVs, free WiFi and tea/coffee making equipment. The Wilton Guest House is situated 100 metres from Weymouth’s award winning beach in a quiet residential road, 5 minutes from the train station and 2 minutes walk to the Town Centre. This property has 7 guestrooms including private twin room, apartment and double room appointed with complimentary Wi-Fi, coffee/tea makers, an iron with ironing board and a DVD player. Burley Court Hotel is 6 minutes walk from the beach. Conveniently situated on the Bath Road, with a large car park and entrance with amenities like WiFi, swimming pool, 24 hours reception and many more. Within easy walking distance of restaurants and night life, the shopping centre, the pier and beaches. Car parking on Friday only, 26th July. Car parking on Saturday only, 27th July. Car parking on Sunday only, 28th July. Car parking in the general car park. Free car parking only a few hundred metres from your campsite for Backstage Camping customers only. Maximum 1 per order.